Pen Y Cwm drum group has been running for 4 years. 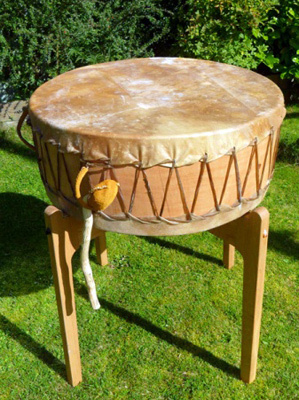 The drum group will be held outside ,or in a tipi so anyone thinking of attending will need to bring very warm clothing, and footwear for walking on uneven ground. A coat and a torch will also be needed as the evenings darken during winter. We will create a safe space together , in the tipi , calling on the sacred directions. We can then drum journey together for our individual healing intention . After we ,have possibly, shared our experience we will then have time for a heart beat meditation for sending energy to people and places under stress. Of course we will all close the circle together before going on our way. Contact Mike to be added to the drum group list.